Gas Safety Certificates Supplied in Manchester, Call Today. We carry out work for letting agents and landlords from far and wide who have property in Manchester, just let us know the contact details of your tenant and we’ll do the rest. Our £75+vat fixed price package covers 2 appliances, more appliances can be added at a discounted cost. Once complete all the relevant paperwork will be forwarded to you for your records. We can also service your boiler whilst on site so be sure to take advantage of our Landlord Safety Cert & Boiler Service Package for a great saving – now only £115+vat, saving £35! Our friendly engineers cover Manchester and the surrounding Greater Manchester area, so give us a call us today and we’ll book you in at a convenient time for you and your tenant. Landlord gas safety certificates in Bristol arranged today! Quick and easy. 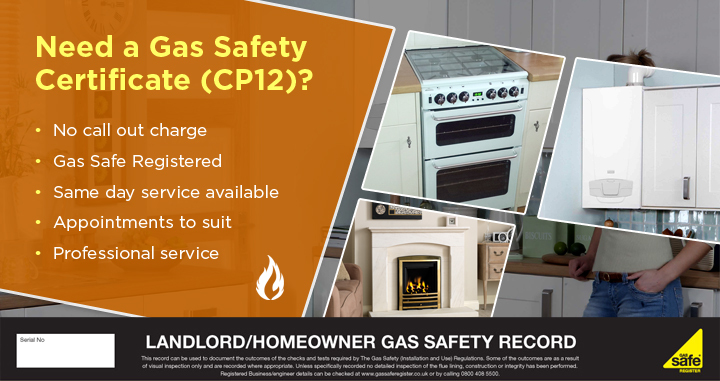 Your reliable Gas Safety Certificate service in Manchester.